A trip to the store to buy a chainsaw turns into an ugly confrontation. A Canadian Tire location in Toronto. 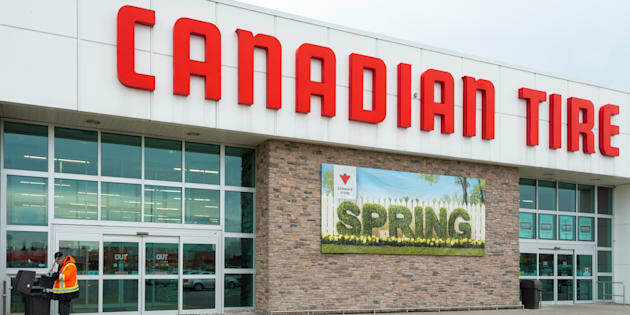 REGINA — Canadian Tire has apologized after an Indigenous man was physically removed from one of the retail chain's Regina stores when he was accused of stealing. Kamao Cappo says he was in the east-end outlet on Wednesday buying a chainsaw, an extra chain and oil. While checking out, he realized he had the wrong model and took the goods to customer service where he put the chain and oil inside the saw box for ease of handling by the clerk. While looking for the right model, Cappo says he was approached by a male store worker who accused him of trying to shoplift and ordered him out — a confrontation Cappo captured on his cellphone and posted to Facebook. Cappo rejects the claim he was trying to steal and says he was discriminated against because he's Aboriginal. Canadian Tire's corporate head office says in a statement that it's reviewing what happened. Cappo said he was pushed against some shelves and ejected from the store after he refused to leave. The video appears to show Cappo and the male employee exchanging words before the two jostle and the worker accuses the other man of shoving him. Cappo later says, "You have no right to kick me out," to which the worker replies, "Sure I do. You just told me you were planning on taking something from the store." The video later shows Cappo being forced to leave. "We came in in our workclothes to buy a chainsaw," Cappo told CTV News. "If a white person came in with their workclothes, I don't believe this would happen at all." Canadian Tire's corporate head office says "we sincerely apologize for the experience that occurred in our store and we are actively reviewing all of the facts surrounding this matter. We are communicating with Mr. Cappo directly, and we hope to resolve this matter as quickly as possible." Management at the store in question has not responded to media requests for a response. Cappo said he has a heart condition and was injured in the confrontation. He has filed a complaint with police and is considering pressing charges. "I am doing that because I want store owners and managers to know that Indigenous people and other people of colour and minorities will be protected. They can't do this." Elizabeth Popowich, a police spokeswoman, confirmed investigators are looking into what happened. "It's going to be investigated as an assault and it will be concluded and certainly the complainant will be notified as to the result," she said. Police are also looking into a separate incident on Thursday when officers dashed to the same east-side outlet after the store got a call that someone was going to use a gun at that location. Cappo has been a regular customer of the store and said he recently spent more than $3,000 there, but now plans to take his business elsewhere.